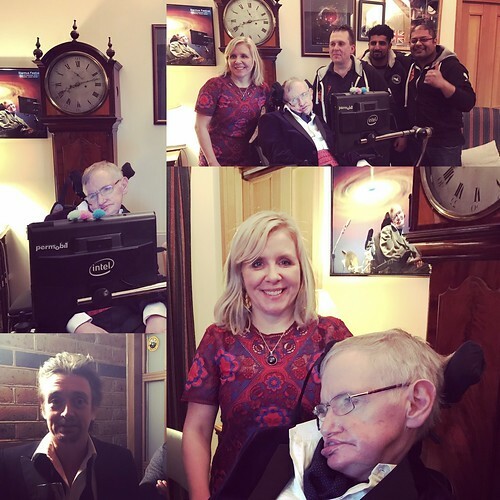 On Saturday 7th January 2017 we were kindly invited by Professor Stephen Hawking to celebrate his 75th Birthday. We have done many firework displays before for the Professor – but this time we had more space to play with. All we used was CAT3 Epic Fireworks – Check out the video below and see how many of the fireworks you can recognize. We finished with 3 x Angels Vs Demons to guarantee the finale ended with a Big Bang. 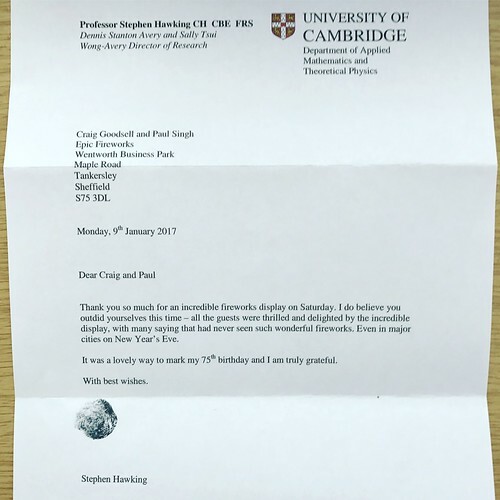 A few days later we received a wonderful thank you letter from the man himself.